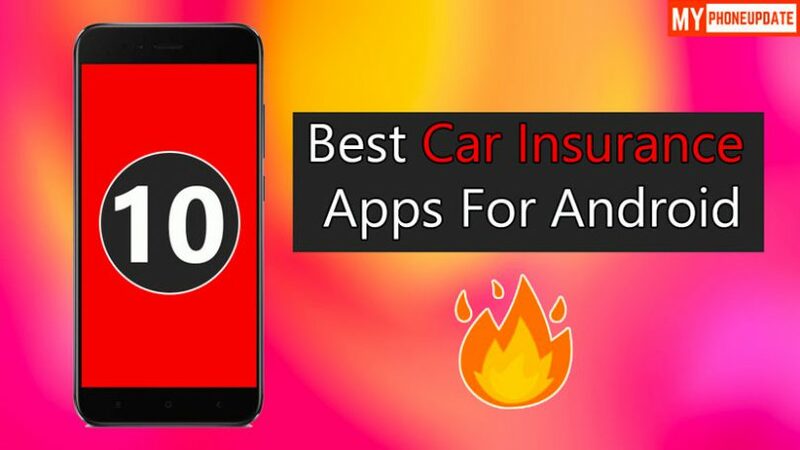 In this article, I have listed the Top 10 Best Car Insurance Apps For Android, these apps can help you to choose the right insurance for your need. I have mainly listed the Car Insurance Apps because they are very important for us and the majority of people get confused to choose the right Car Insurance. These apps can save you money as well as your life, they have a very Affordable price that anyone can afford. There are a lot of companies out there but choosing the right one is very hard. But don’t worry we have made these easy you just have to install the app, Choose an insurance plan that suits your budget and that’s it. Note: We are not doing any type of promotion or affiliate. This is completely my opinion and based on that I have listed these apps. I have also mentioned the Insurance Quote App which will create a quotation that will help you to choose the best plan out of it. Also, these insurance apps are useful to manage your insurance with ease. These apps are 100% genuine and trusted by lakhs of people out there. You do not need to go anywhere just compare insurance through your mobile phone. Calculate Insurance Premium by one click and you will get each and every detail related to your need. Root car insurance is one of the best car insurance app because it provides very Affordable car insurance plans. The best part of this app is that it uses artificial intelligence to help you to save your money. Root car insurance app saves an average of $1,187 every year which is amazing to see. This app has been featured in Forbes, TechCrunch, Wired, The Washington Post, and Fortune Magazine. State Farm is another best insurance app that with help you to manage your insurance, request roadside assistance, banking accounts, file and track claims, and much more. This app makes your banking experience very easy as you can deposit checks, transfer funds, pay bills and there are lot more things that you get in a single place which is again a great thing. This app also manages your insurance, but the new thing that you will get in this app is the repair features, recall alerts, and maintenance reminders which you won’t get on the top 2 apps that have been listed. Another best thing about this GEICO Mobile App is the customer support. If you want support simply tap on chat and one of the representatives will assist you, you will get a quick response directly from the app itself. Allstate® Mobile is the most trusted insurance provider app. You will earn a reward for safe driving, get each and every detail about how you’re protected. Allstate mobile app is very easy to use and you are getting a lot of features that are very important for car insurance. Here are some great features of this insurance app: File claims in a (camera) flash, Access your agent’s info, Locate and compare prices of nearby gas stations and much more. just install it and be relax everything will be taken care by your app. Progressive app can help you to view coverages, discounts, ID cards, documents, and policy details. There are a lot more than you can do with this app. Here are some top features of this app. Report and add photos to a claim. · You can Pay your bill by credit card, debit card, or checking account. · View your billing history and upcoming payment schedule. · See your progress in Snapshot®. · Quote or make a policy change. · Request roadside assistance, exactly when you need it most. · Take and submit photos of documents that we’ve requested from you. · Get in touch with your agent and claims rep.
· Start an auto insurance quote—and then buy online. This one app has too many insurance comparison sites integrated and you can search the major UK car insurance comparison sites, as well as compare car insurance quotes from the big direct insurers that are not on them. • Compare car insurance quotes from the major comparison sites spanning many hundreds of car insurance providers quotes. • Save your details and take them with you wherever you go. Now from here are two best apps which are basically a premium calculator. You can calculate Motor Premium Calculator, Create Quotation, And much more! As the name suggests this is a Motor Insurance Calculator App, through this app you can calculate Motor Insurance Premium with less than 1 minute. Also, you can share the details with company name through email. This app does not require any internet connection, works completely offline. The internet connection is needed only while sending emails. Get car insurance quotes, auto insurance quotes and much more, These apps are very useful one must try these apps. This app provides you quotations for 11 Products that are listed below. NIA Motor Premium Calculator improve the TAT for giving quotations to the clients. You will get all the instruction at welcome screen. If you to ask any question related to Top 10 Best Car Insurance Apps For Android, the make sure to comment down below. We would like to hear from you.